We are excited to announce that the 5th LawInSport’s Annual Conference ‘Understand The Rules Of The Game 2019’ will be hosted at the Royal Institution of Great Britain, Green Park (Mayfair), London on 12th & 13th September 2019. This two day conference will build on the success of the previous annual conferences at which over 300 leading sports lawyers, sports executives, academics, students and athletes networked and discussed the key issues and developments in international sports law. You will be able to follow updates about the conference by using #LISconf19. 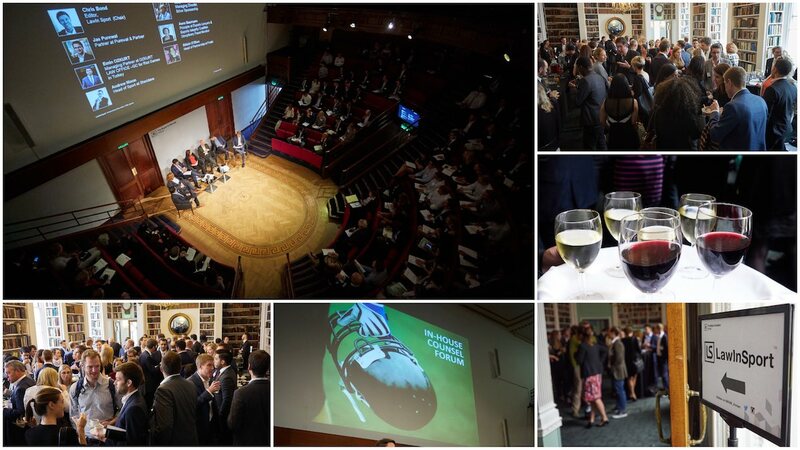 The conference provides attendees with two full days of interactive panel discussions, with world leading experts discussing the contemporary legal issues impacting global sport. Not only will attendees partake in cutting edge panel discussions, they will also receive a complimentary copy of the “Understand The Rules Of The Game” conference magazine. Attendees will therefore have access to detailed reference materials that will help them when faced with legal issues in their work or studies. 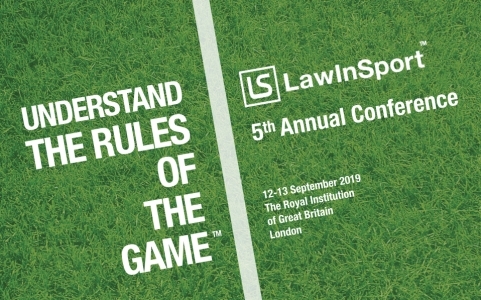 The LawInSport Annual conference is well known for its unparalleled networking opportunities, and this will be a theme that continues at this year’s conference. With over 6 hours of networking during the two days and two evenings of networking drinks, attendees will have dedicated time to network and meet with colleagues in the sector in a friendly and welcoming environment. We understand that with all the best intentions to attend every session over the two days there will be times when attendees may need to check into work or take calls...the work of lawyers and executives never stops! Therefore to give attendees the best opportunity to be present and make the most of the conference we have allocated a private room to work in and take calls through-out the conference should you need to. Thus you will never have to be far from the action and be able to take advantage of all the networking opportunities and participate in the conference as much as possible. LawInSport Plus Members with an annual membership benefit from a £100 discount on both the early bird and full price tickets. The discount is applied at the time of purchase as long as you are logged into your account. There will be no discounts offered on any of the tickets other than stated below. * Please note that all tickets are nonrefundable. Update Data protection GDPR - success, failure or too early to say? Dispute resolution: Debate - Is sports arbitration fit for purpose? Technology: Technology and sport - the current opportunities and challenges for the adoption of technology in sport? Update on Agents: How do different sports approach regulating sports agents? Licensing: What challenges are there for governing bodies licensing sports events and participants? Data protection/GDPR Update - success, failure or too early to say? Regulating Agents Update: How do different sports approach regulating sports agents? Dr Katarina Pijetlovic, Senior Lecturer in EU Law and Sports Law at Liverpool Hope University. Royal Institution of Great Britain, Green Park, Central London. We will announce a special discount rate with a conference hotel by July 2019.